In talking with Nikisha Riley there’s no denying the self-care guru and holistic beauty entrepreneur is a dyed-in-the-wool Brooklyn girl. 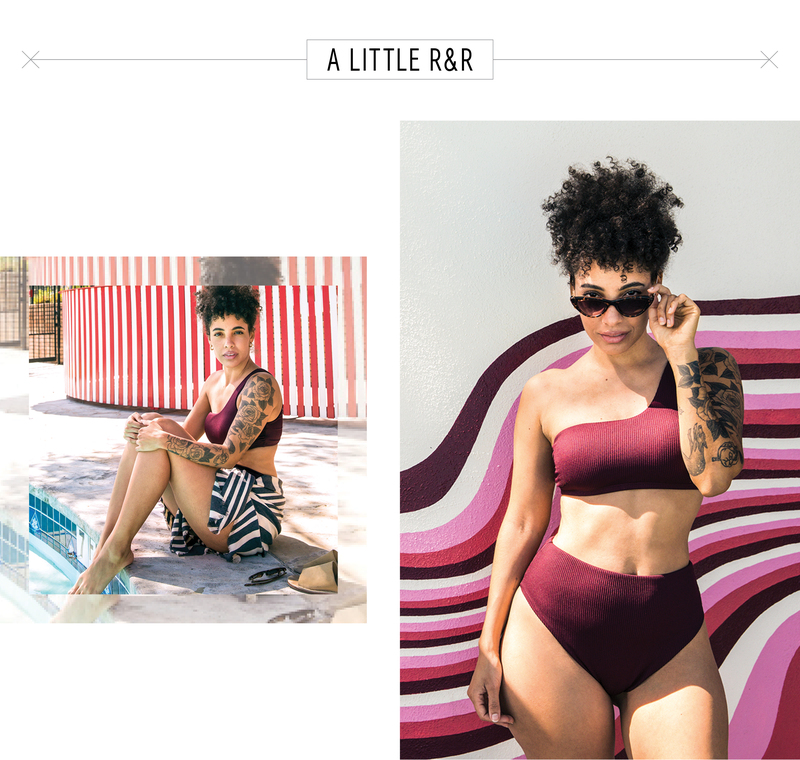 For all of her zenned-out aura, the stylish and cool wellness maven has a humorous and direct way of communicating that’s oh-so indicative of Riley’s hometown. From doling out DIY body butter recipes one moment to wisecracking in another, talking to Riley feels like chatting with your blissed out homey on a stoop. It’s a rare combo that has undoubtedly helped endear the curly-haired beauty to her nearly 93,000 Instagram followers. 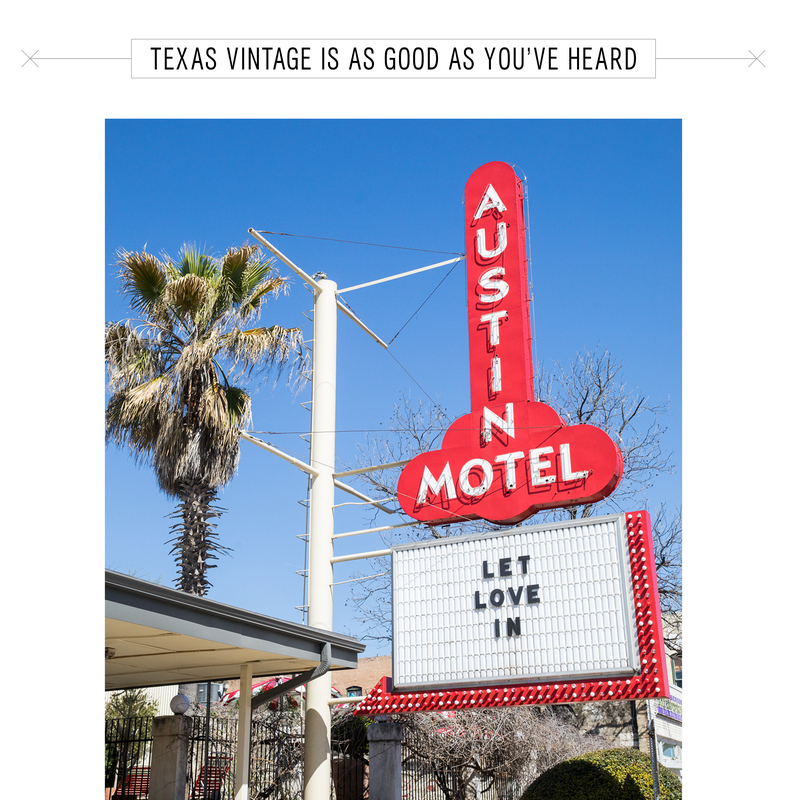 However, Riley has called Austin, Texas home for 5 years now, and one can tell that the buzzy southern capitol has rubbed off on the Northeastern city girl. 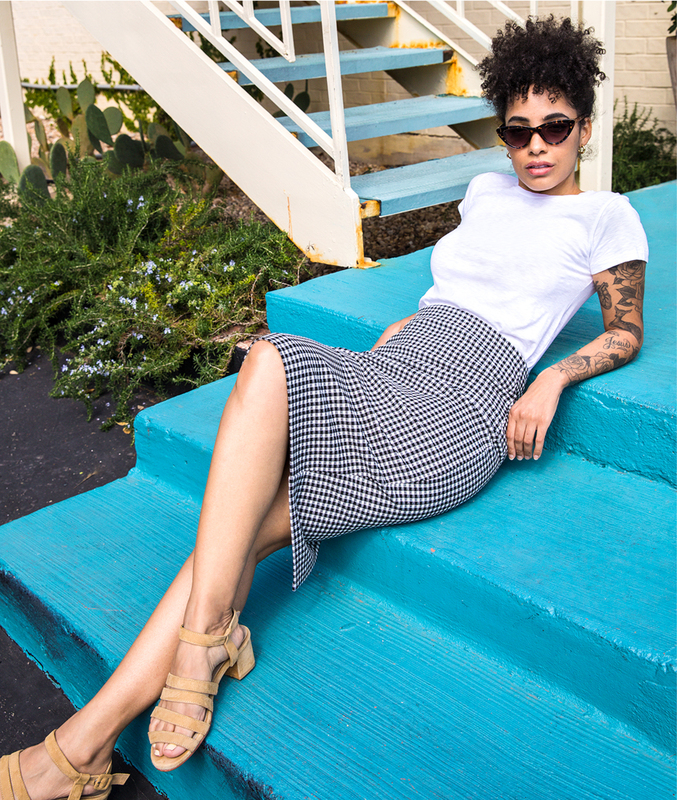 BLUES TRAVELER: Riley wears an Express gingham skirt, white tee, and cat-eye sunnies. Shoes, her own. Although she’s not necessarily taken to cowboy boots and pearl button snap shirts (no, her style is far too minimalist cool for all that), she’s certainly representative of the entrepreneurial contingent the city has attracted. In fact, she’s kind of the perfect example of this seismic shift (typically embodied by the earthy techies who have flocked here), given the sheer success of her own line of apothecary goods, Folie. 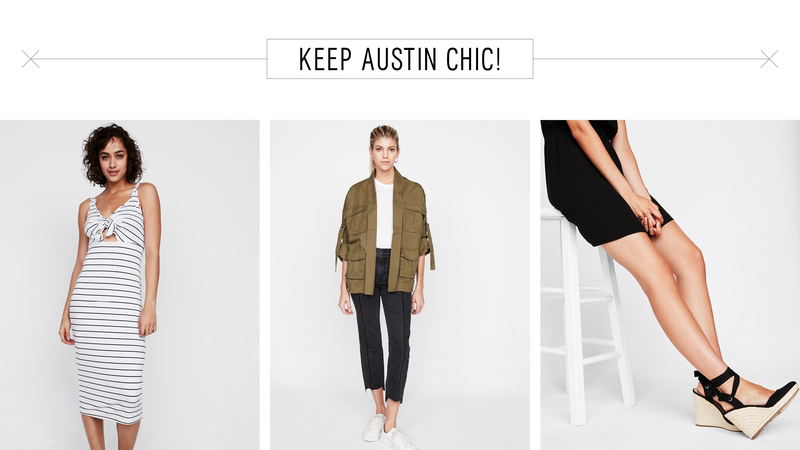 STREET STYLE: Riley shows us around the uber-cool South Congress Avenue. 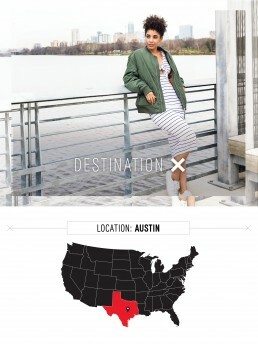 Soon, the brand was bursting out of Riley’s Texan kitchen and quickly becoming a roaring success amongst the social media darling’s following, which included Solange Knowles. The singer began carrying Folie favorites, like the Prickly Pear Face Serums and Calming Lavender Cleansing Grains, in her online store, Saint Heron. 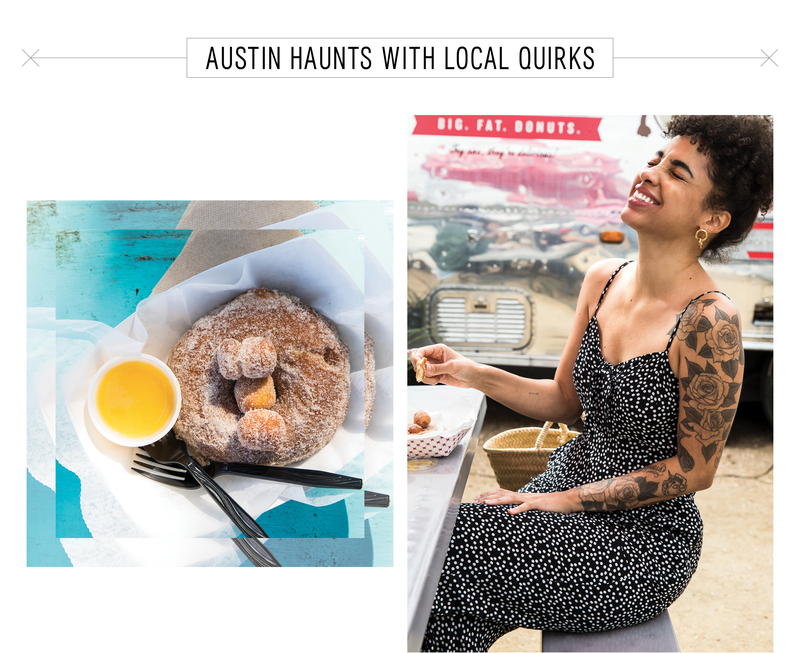 Meanwhile, in between running a successful local business, and raising a teenager, Riley was getting the lay of her new city, literally becoming the face of the 512—just check out the cover of Austin Magazine’s July 2017 for proof. 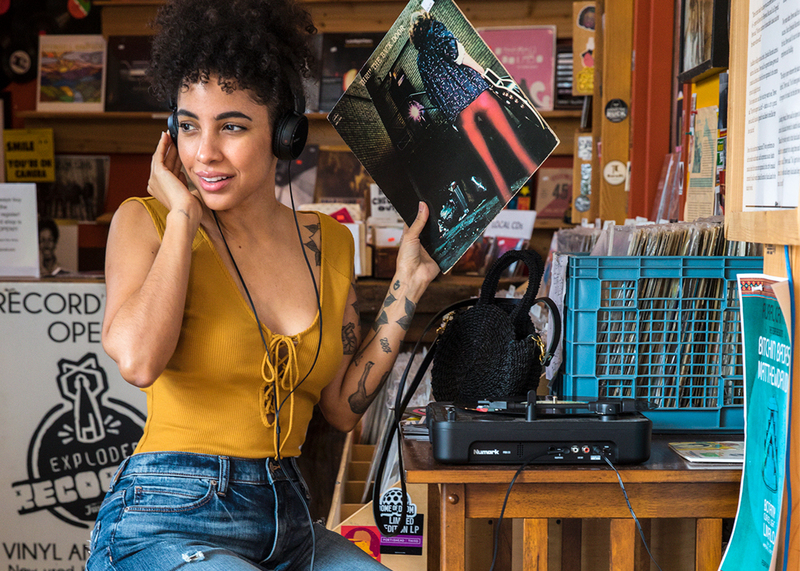 Which is why, with tech whizzes and musical aficionados descending upon Bat City for the annual SXSW festival this past week, we thought who better to ask about the must-see locales? From juice bars and live music, to ultimate vintage shopping, Riley has you covered. 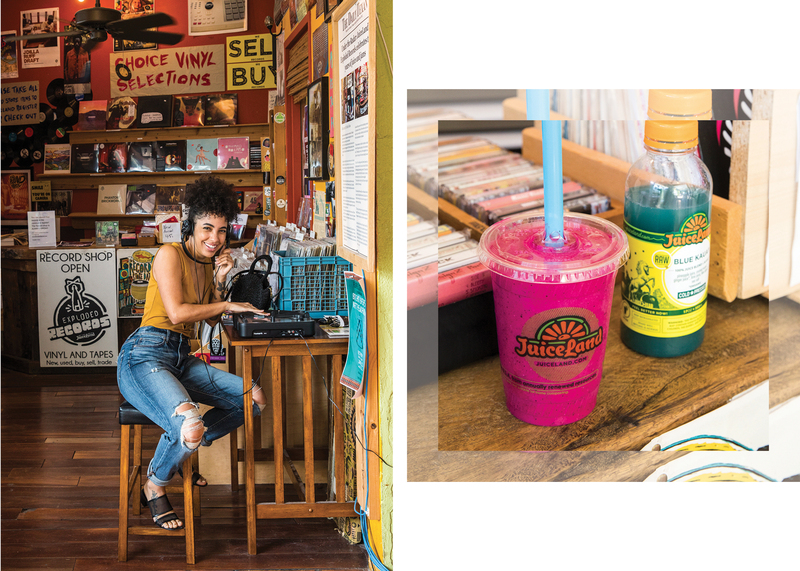 RECORD BREAKER: The Juiceland in Hyde Park is one of Riley’s favorites because it has an attached vintage record store. Riley wears Express girlfriend jeans, and tank. Bag and shoes, her own. THE SNACK SPOT: Riley swears by the cinnamon and sugar coated Naughty & Nice donut at Gourdoughs. She wears an Express jumpsuit. Earrings and accessories, her own. “Another place that’s cool is Kitty Cohens. It’s a bar and I love that they have a pool in the middle of their courtyard. You can actually jump in! Gourdoughs is a must because you’ll never taste a better donut and it’s a great way to experience the food truck culture. LINE ITEM: Matching your strips to your lunch spot is a pro move. Express slip dress. Accessories, Riley’s own. POOL HOPPERS: The turquoise, kidney-shaped pool at The Austin Motel is a small oasis from the sun-baked streets. 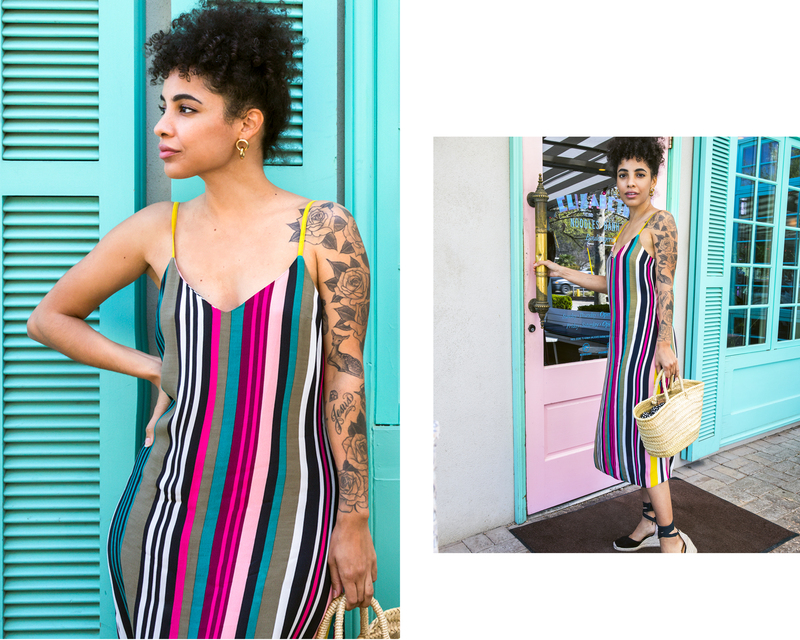 Riley wears an Express mix-and-match suit (top and bottom), and striped wrap.